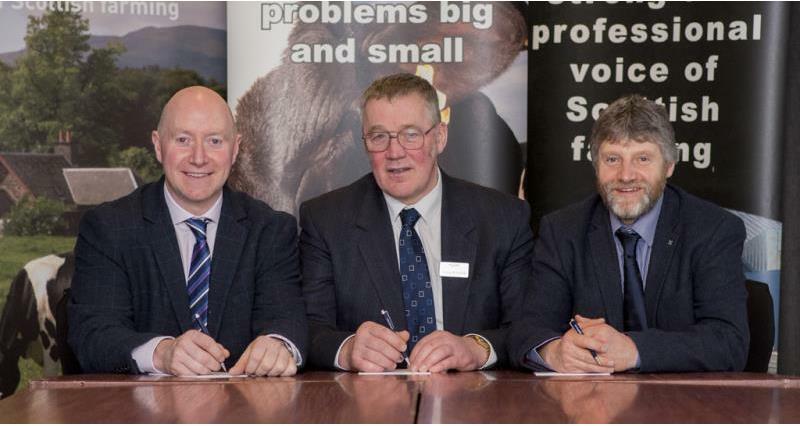 Martin Kennedy a tenant farmer on Edradynate Estate in Highland Perthshire, has recently been appointed as Vice President of the Scottish NFU. Martin is married with three daughters and farms with his wife Jane on a hill farm rising to 2,500ft. They have 600 breeding ewes, 30 continental cows and 30 Highlanders. Martin served two years as Highland Perthshire branch President, he first represented East Central region on the LFA committee in 2009 before being elected as Vice Chairman for three years. He is currently serving his second year as Chairman. He has also been chairman of Aberfeldy Show and Highland Games for the past six years.